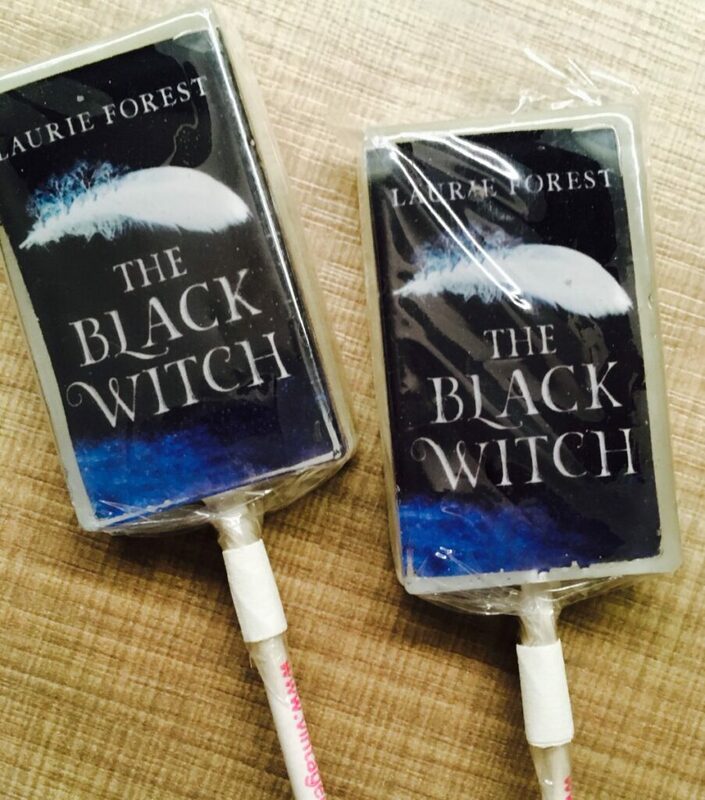 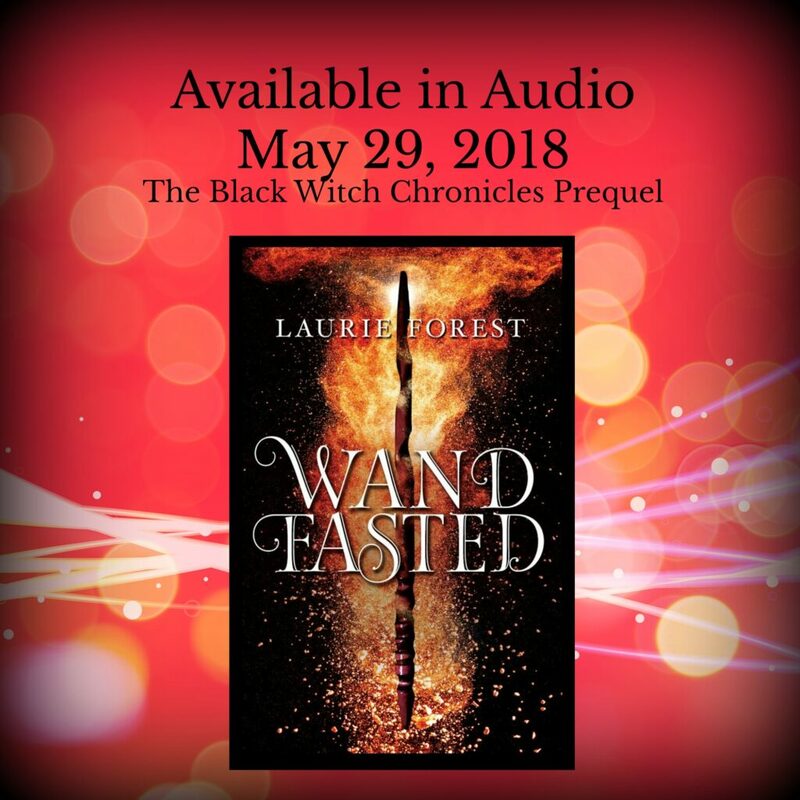 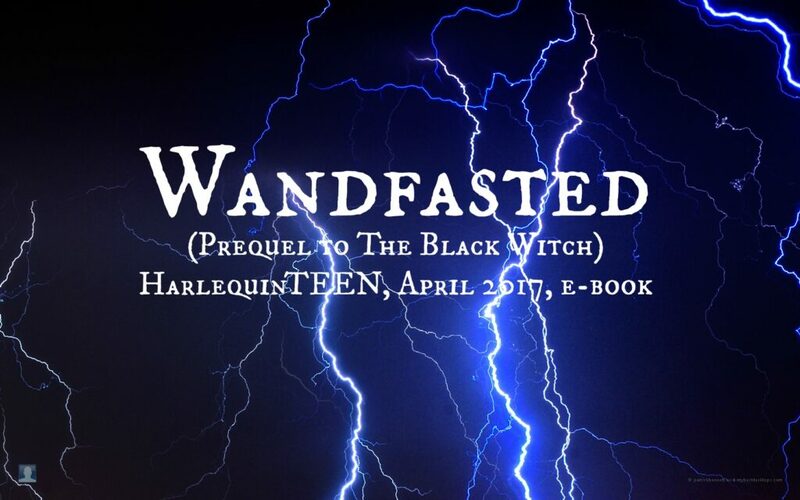 So excited that both WANDFASTED (Book 0.5, The Black Witch Chronicles Prequel) & LIGHT MAGE (Book 1.5, The Black Witch Chronicles) are going to have audio versions! 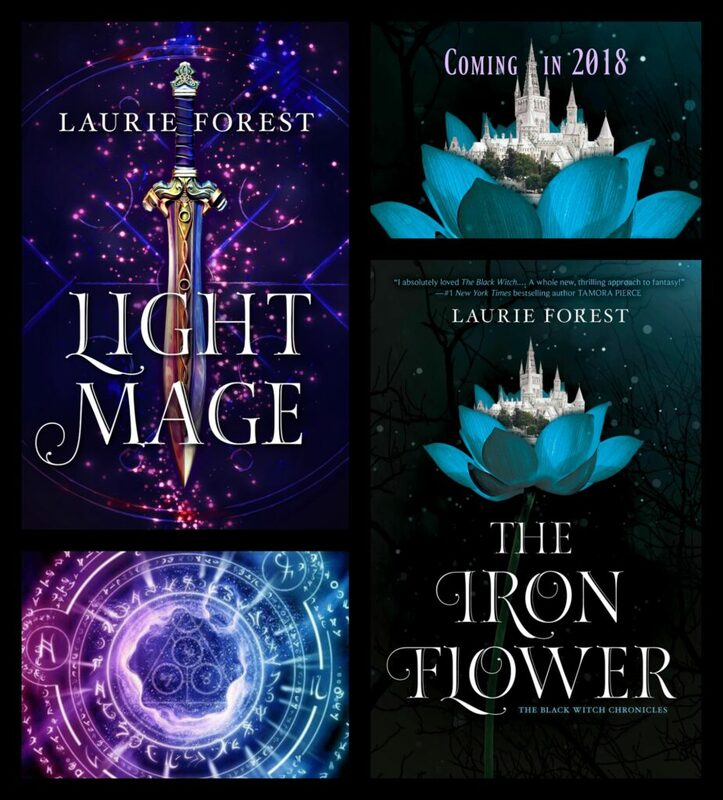 3/30/18 Coming in 2018 – The Iron Flower & Light Mage! 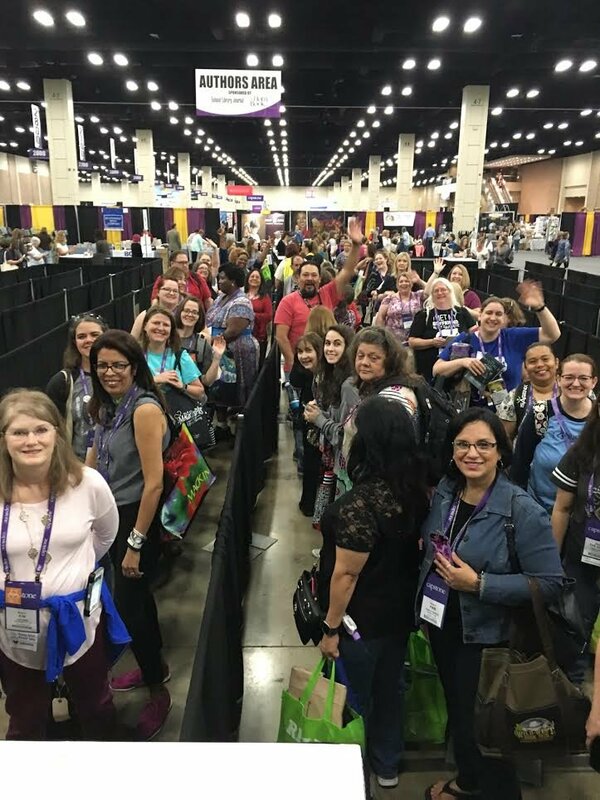 7/25/17 – Fantastic time at Comic Con, San Diego! 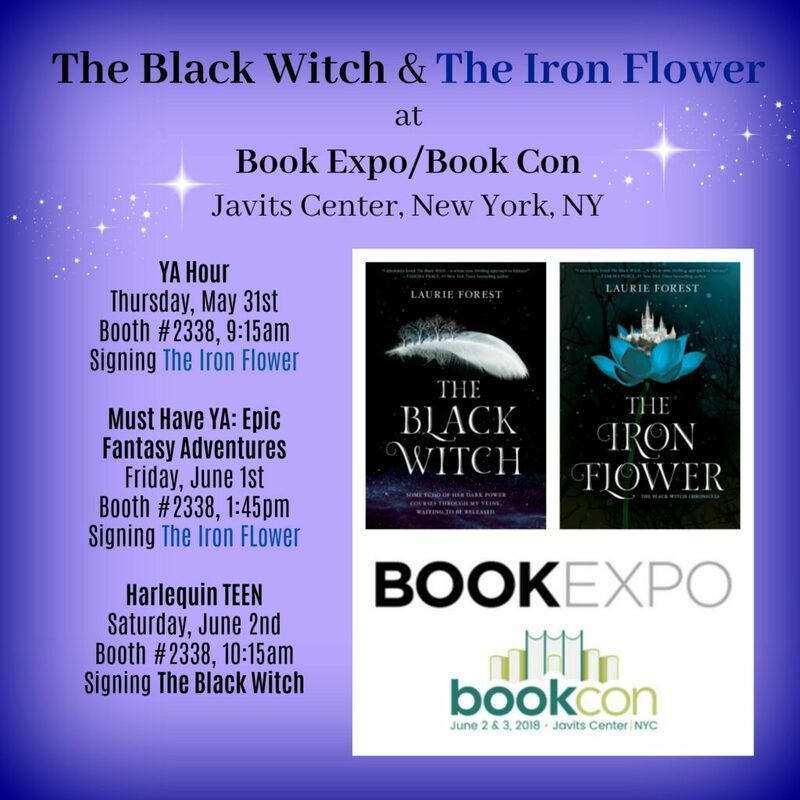 So wonderful to meet favorite authors like Robin Hobb, Kiersten White, Vic James & Amanda Foody and find new favorites! 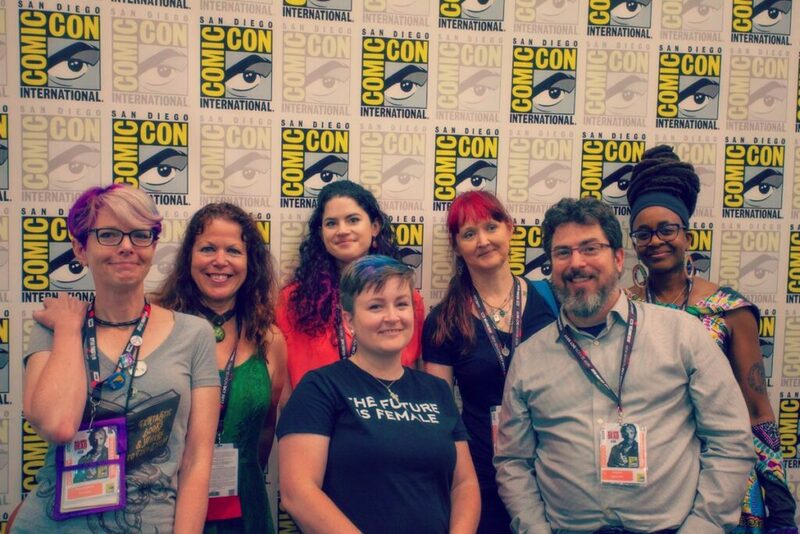 Honored to be part of the “Diana’s Sister Protagonists” panel at SDCC with such talented people. 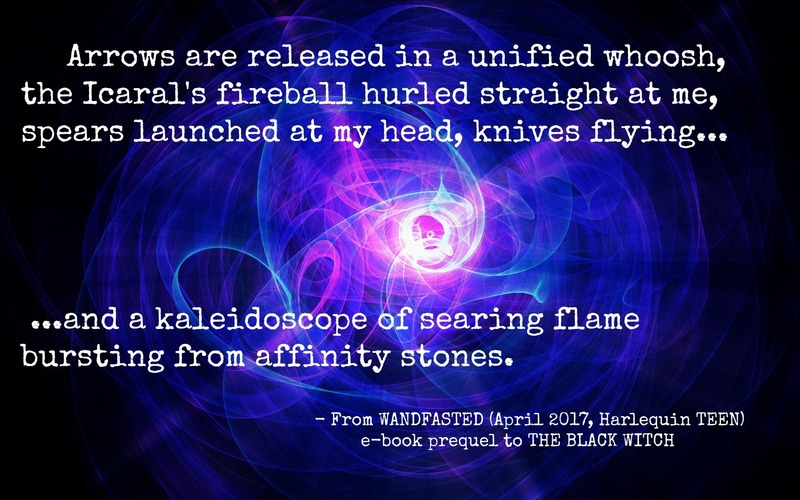 5/20/17 – So, there are now BOOK STICKERS! (I’m ridiculously excited about this new development on my publishing journey). 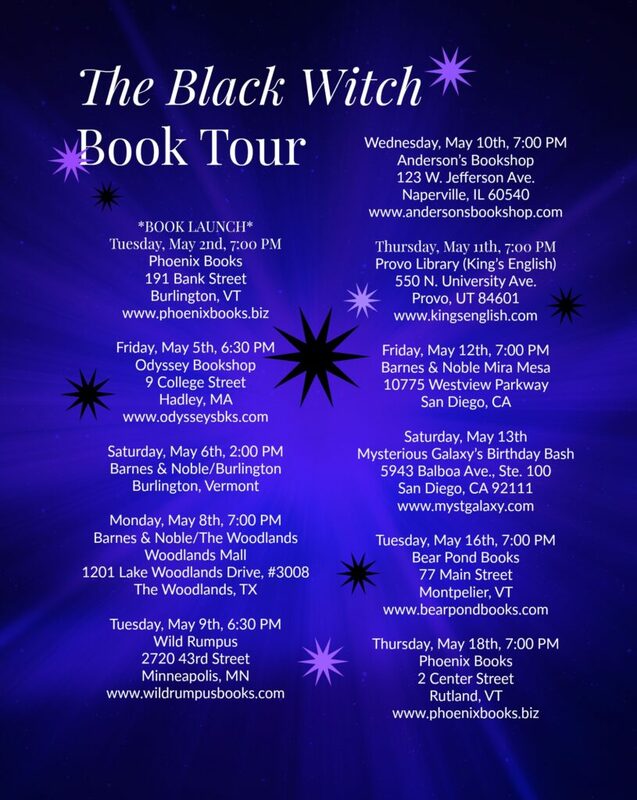 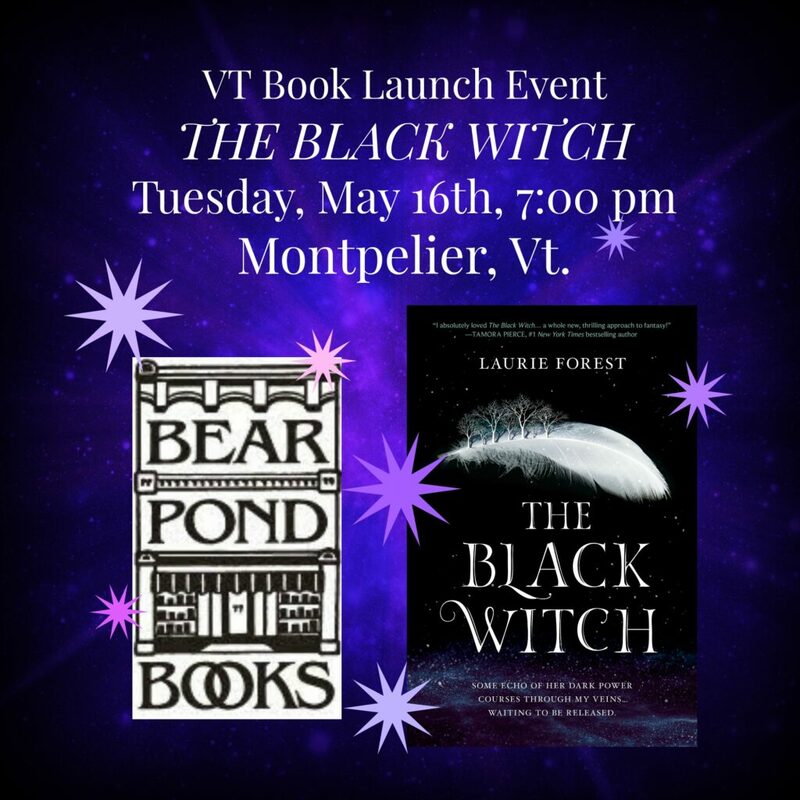 May 2, 2017 – THE BLACK WITCH Book Launch Event! 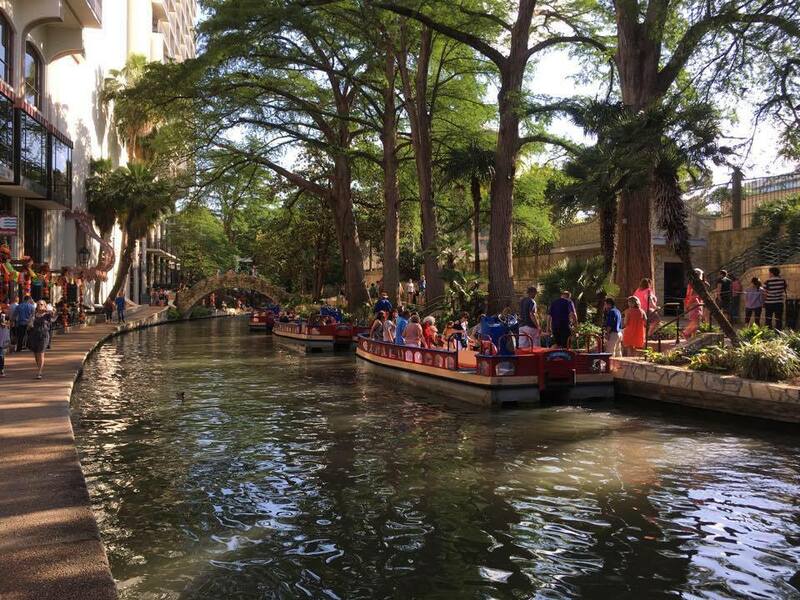 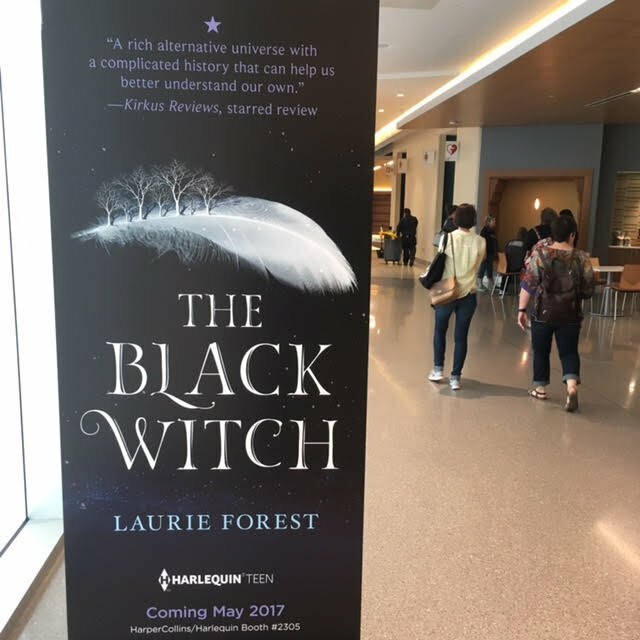 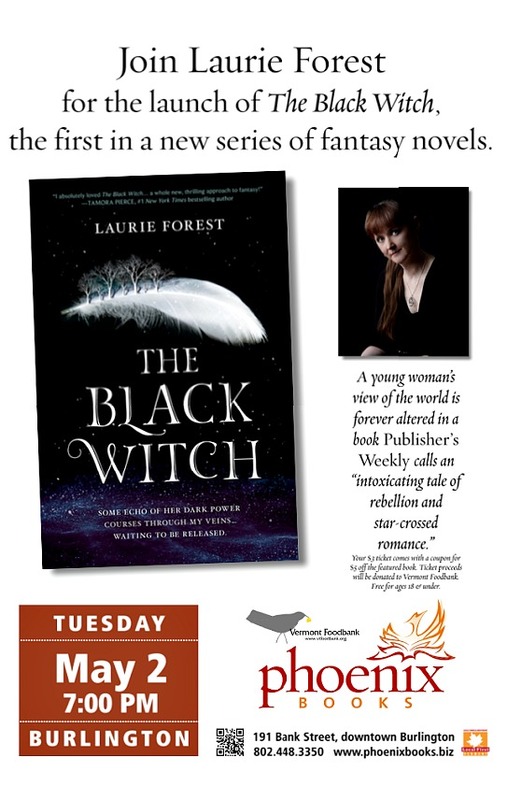 April 2017 – THE BLACK WITCH at the Texas Library Association convention – San Antonio, Texas! 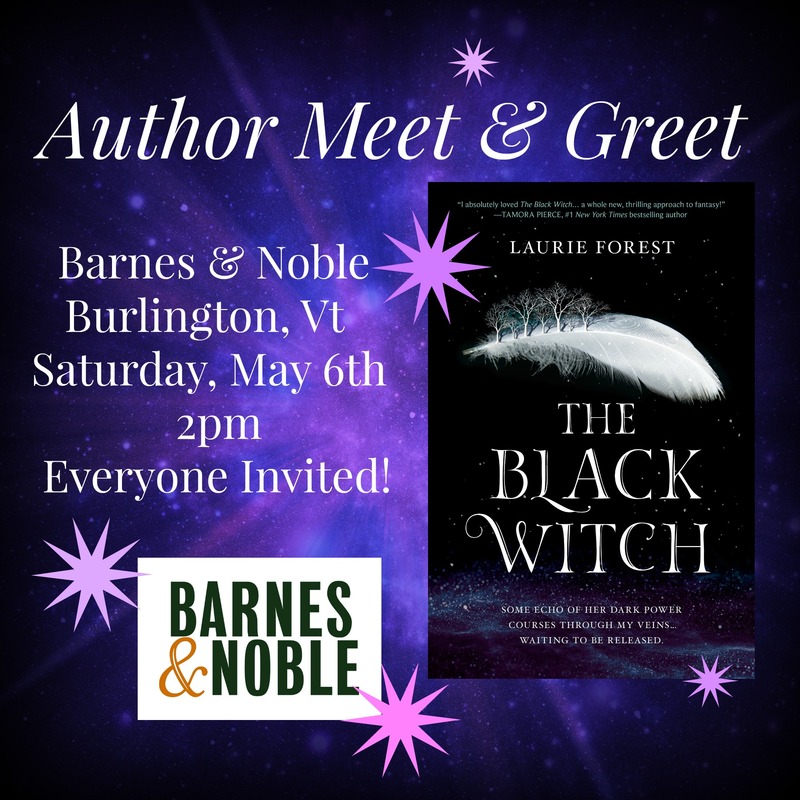 The line at the BLACK WITCH book signing – we ran out of books! 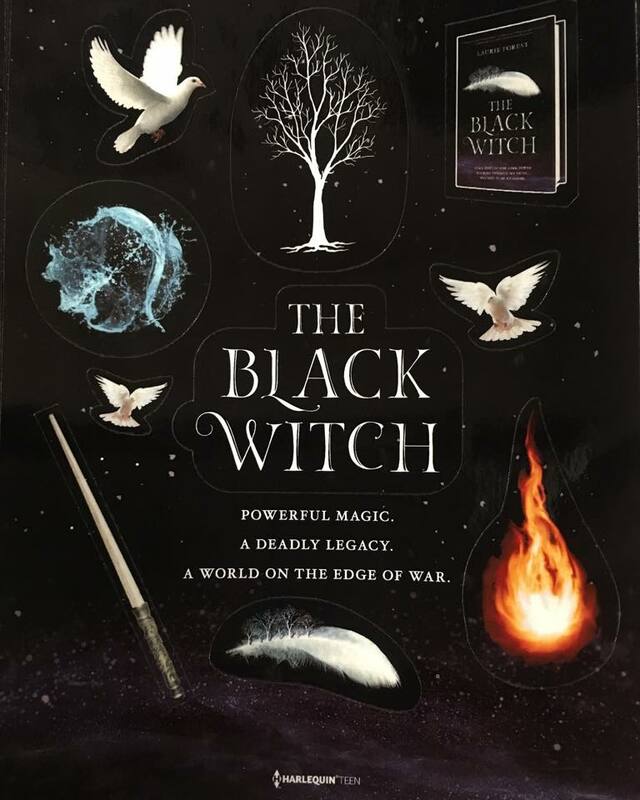 January 2017 – THE BLACK WITCH in California, L.A. and San Francisco! 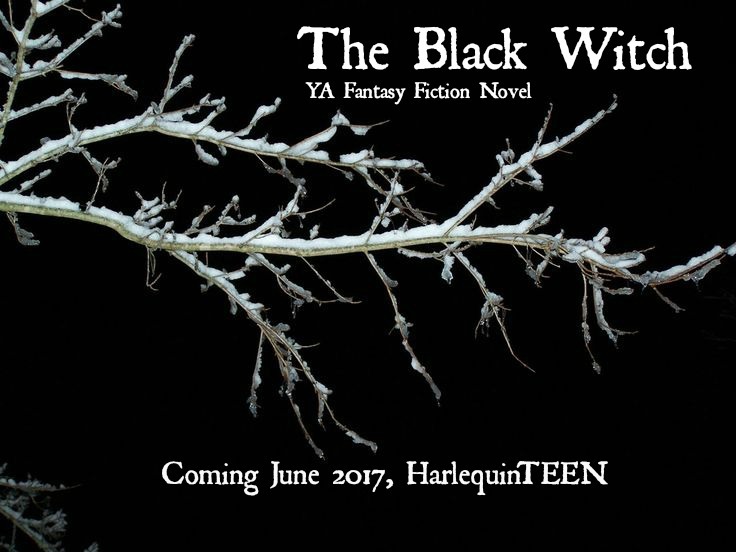 1/6/2017 COVER REVEAL ON ENTERTAINMENT WEEKLY’s online site! 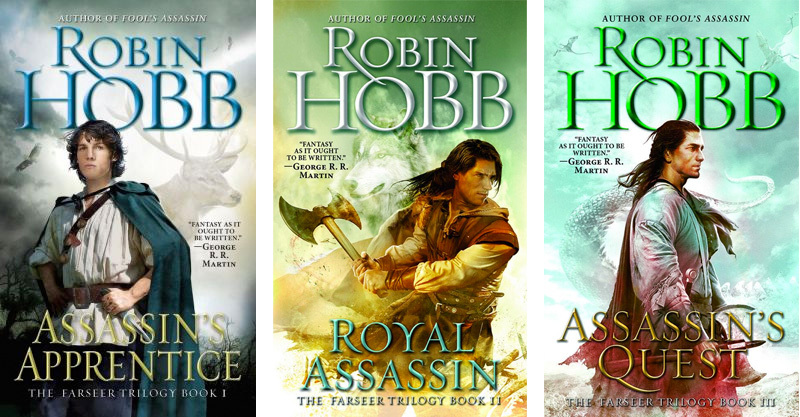 Eagerly awaiting getting my hands on some of these ARCs. 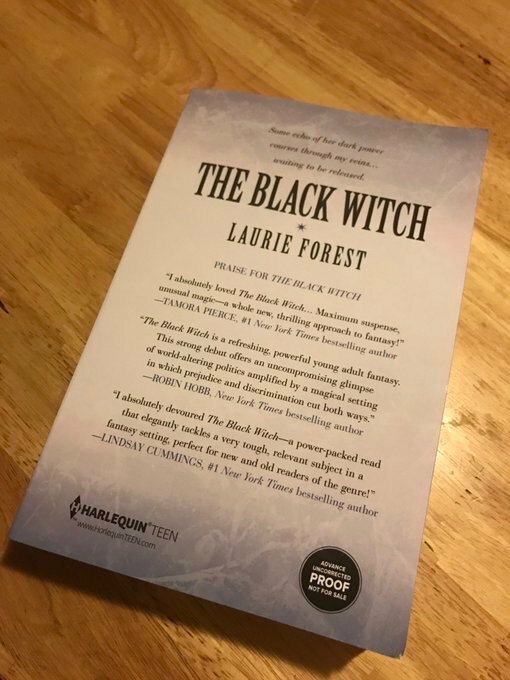 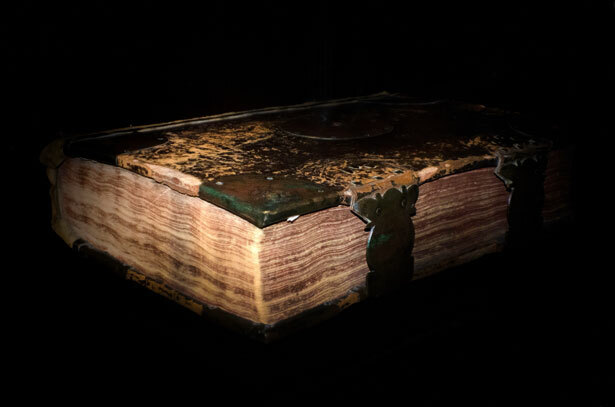 It’s going to be extraordinary to hold this book in my hands – to flip through it and see it with a spine. 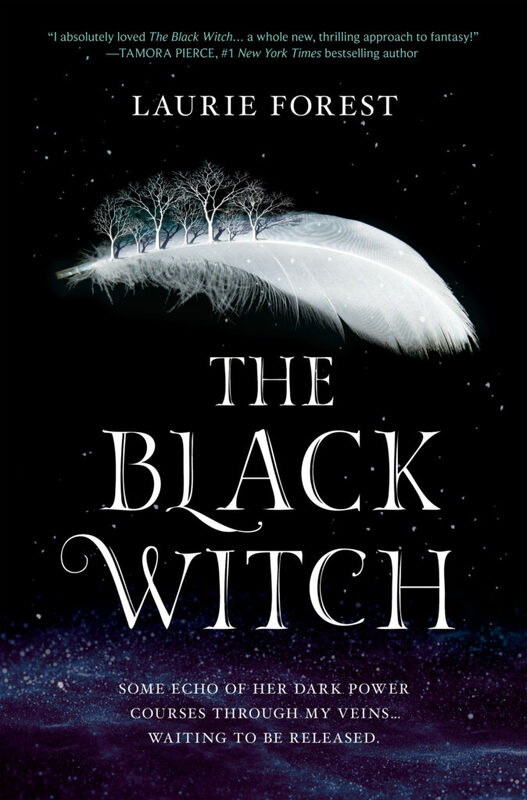 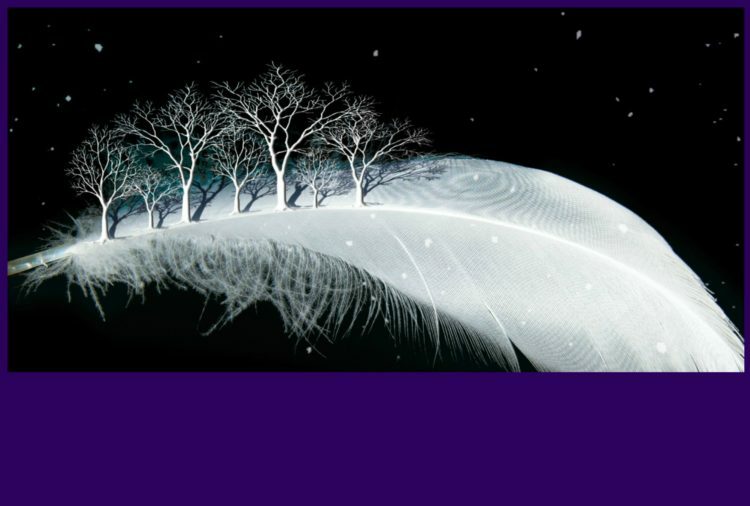 Final cover should be coming soon – have seen a possible cover that took my breath away. 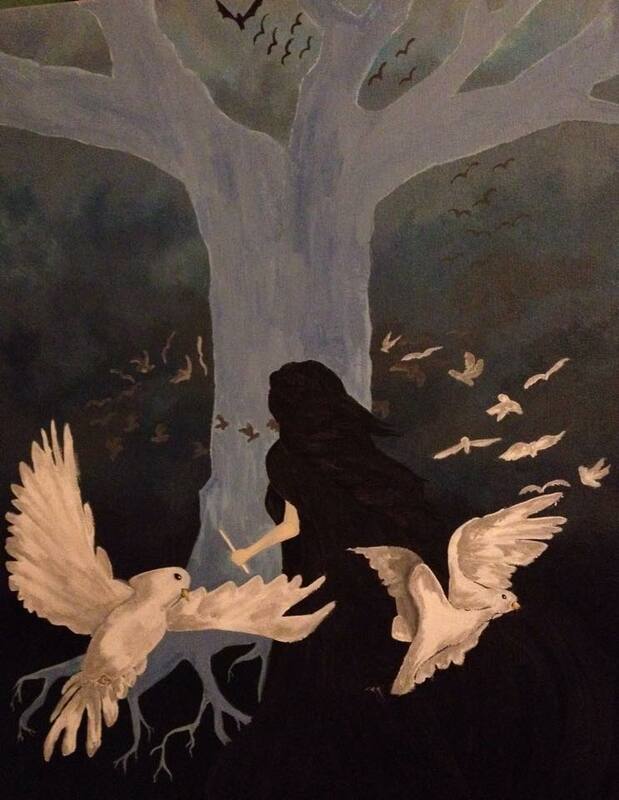 Keeping fingers crossed that the cover is approved by all. 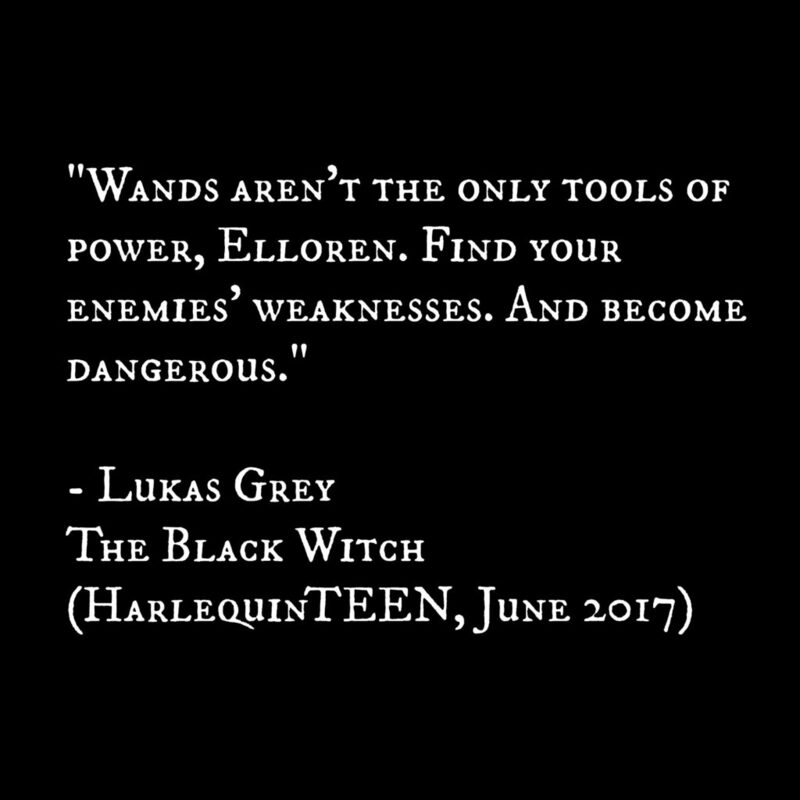 8/17/16 – MADE PLAYLISTS (of some of the music I listened to while writing The Black Witch Chronicles) – Enjoy! 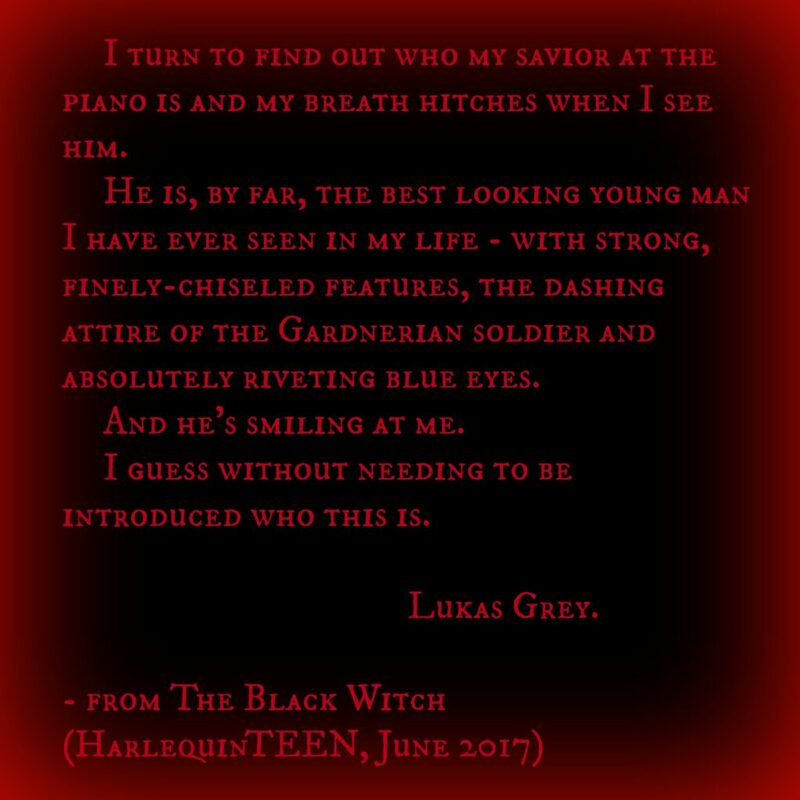 6/12/16 – MY FIRST FAN ART! 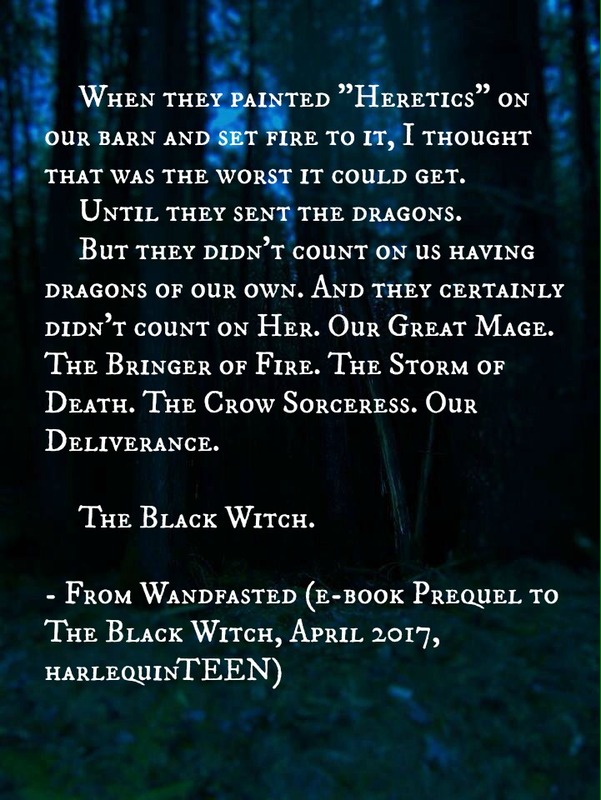 By Schuyler – inspired by The Black Witch (June 2017, HarlequinTEEN). 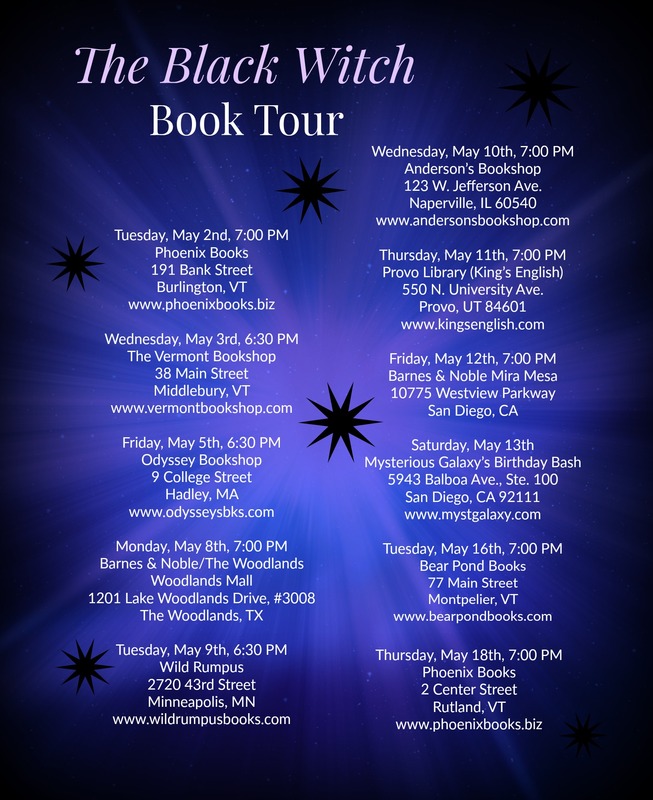 6/1/16 – Just got my line edit – SO EXCITED TO SEE MY BOOK IN REAL BOOK FORMAT! 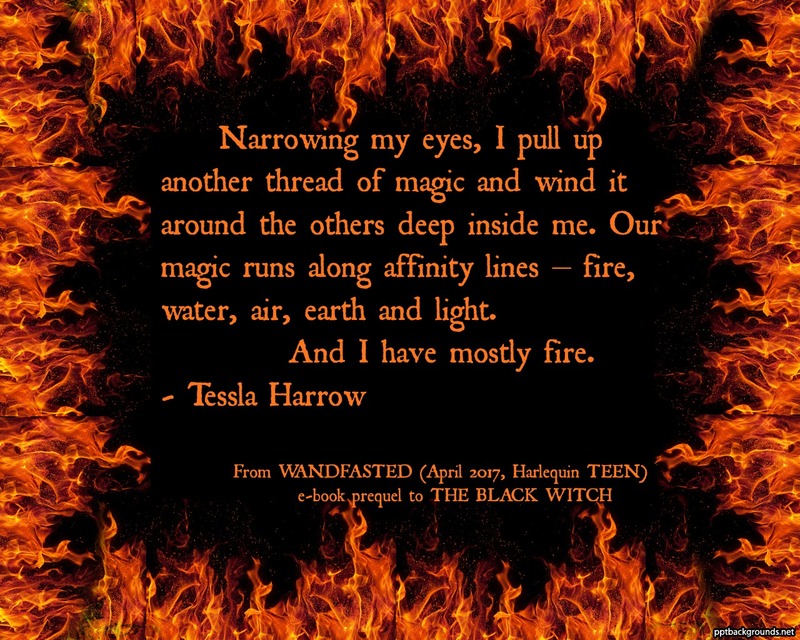 IT LOOKS BEYOND AMAZING! 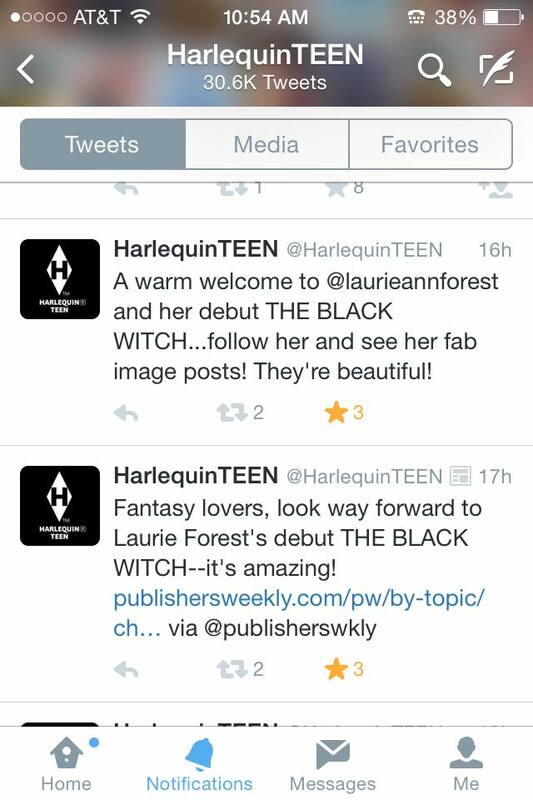 I want to hug everyone at HarlequinTEEN, especially my amazing editor, Lauren Smulski!!! 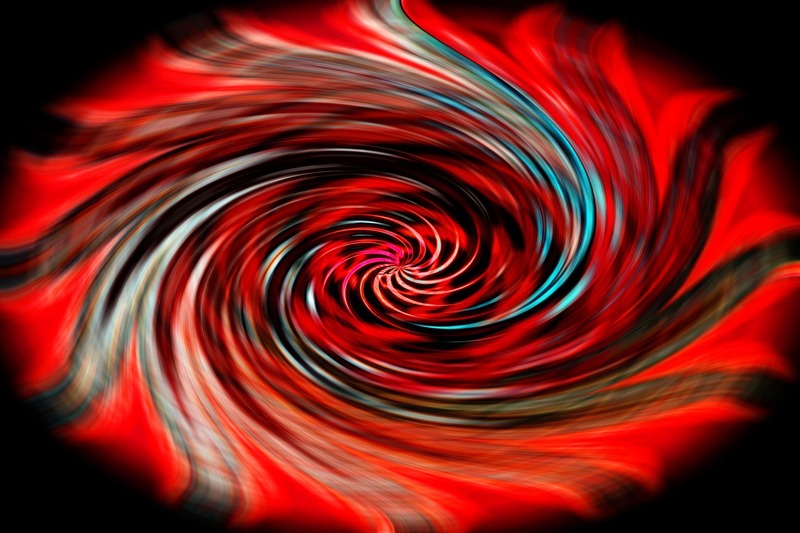 6/28/15 – Working on how to describe giant, exploding fireballs. 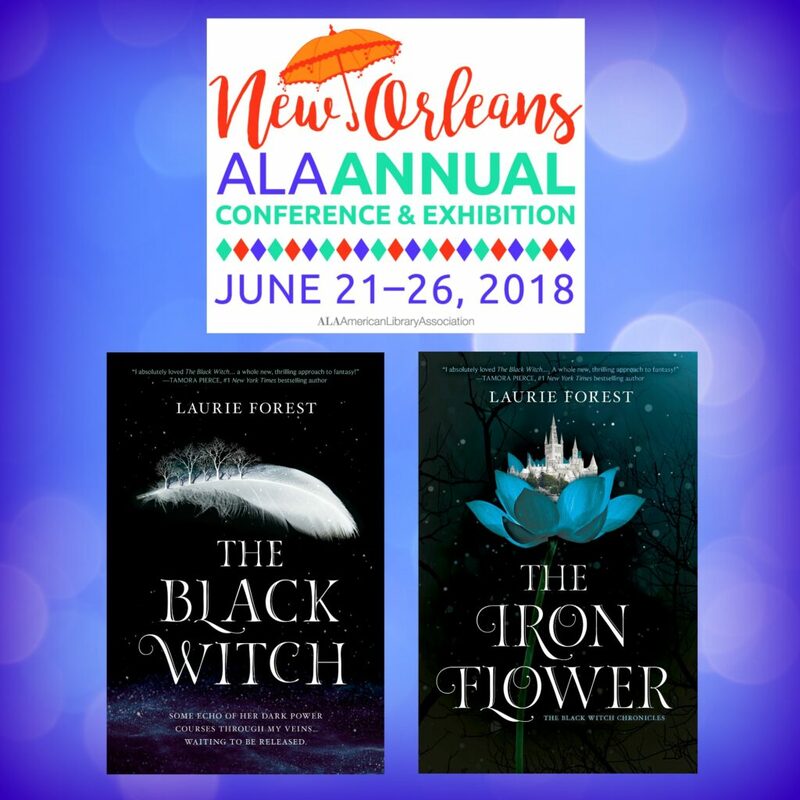 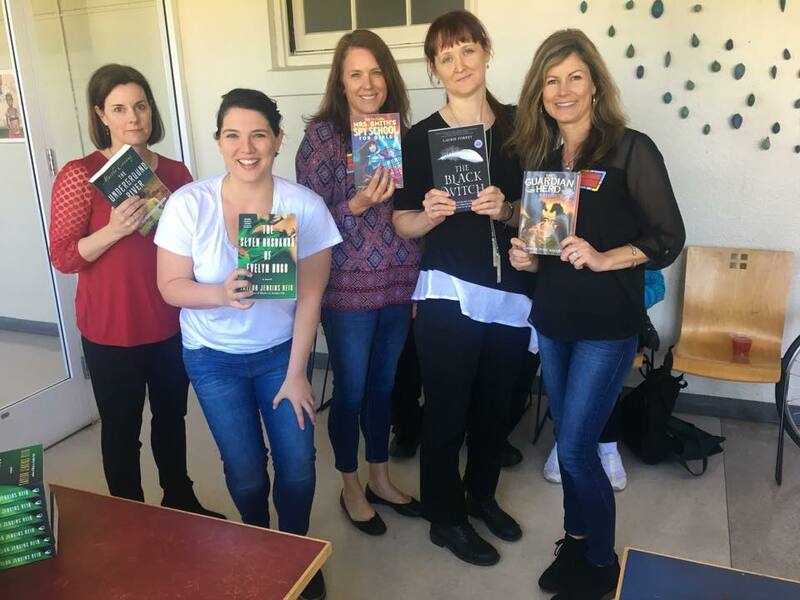 A fun literary challenge.